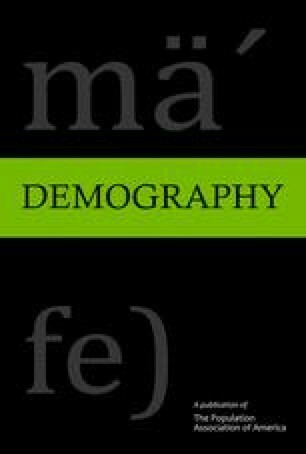 This paper examines determinants of timing of marriage for young women by modeling the transition from the single to the married state by age. This approach, combined with a large longitudinal data set, allows us to disaggregate the analysis into fine age groupings and to include situational and attitudinal factors in our model. We find that those characteristics of a young woman’s parental family that reflect the availability of parental resources tend to decrease the chances of a marriage during the early teens. Chances of marrying appear to decrease with increases in the availability and attractiveness of alternatives to the wife role and in the costs of assuming it. We discuss these results from the perspective of the societal and parental normative pressures which affect timing of marriage for young women.